What a truly wonderful experience last weekend at the 2019 AMS Annual Conference in Washington, DC! We were thrilled to announce our new Tuition Billing and Payments Solution at the conference and enjoyed showcasing many of MC’s latest features. It was a pleasure to speak with passionate educators from across the Montessori community and we always enjoy making new friends along the way. Thank you all for stopping by visit us and we look forward to seeing you next year in Dallas! 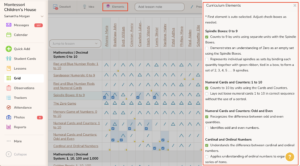 “Curriculum Elements” are measurable learning objectives that enable teachers to add an extra layer of specificity for each child when documenting classroom activity. Elements are now easier than ever to adjust during the Planning/Record Keeping work flow via the amazing “Quick Add” Feature! 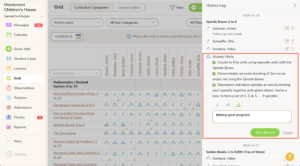 Select a lesson and you will see a link to edit elements. Please note that some lessons may only contain a single element while others may contain multiple elements. Curriculum elements can now also be edited when recording lessons via the Grid. After checking the desired grid cells, click the “Elements” link in the Action Bar. The side panel will open on the right, displaying the elements for each selected lesson. Modify the elements as needed and click the X in the upper right corner to return to the Action Bar to complete your record keeping entry. The Grid now includes a text box on the Action Bar to document lesson notes. You can enter a custom note for one child/lesson or the same note for multiple children/lessons. Notes are visible in the history log and via the student profile. 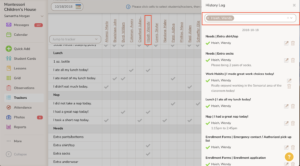 The Trackers Grid has a really handy update that enables you to narrow down the History Log via student name. Pro Tip: Click the student name on the Trackers Grid to access this filtered list of trackers instantly! Editing record keeping entires is now easier than ever via the History Log. Simply click the “pencil” icon and you can edit the entry right there on the history log – without ever leaving the Grid! The default view of assessment triangles is “all time” and “highest recorded”. However, there may be cases when you need to view student activity in a different way. 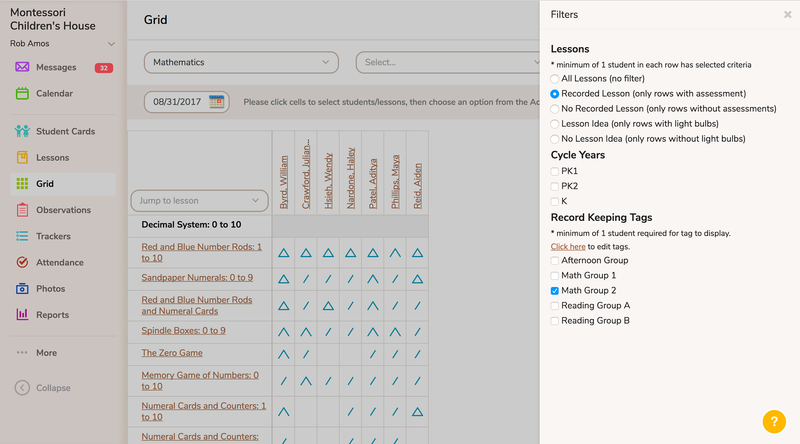 You can now adjust the grid to display lessons recorded since a specific date. You can also adjust lessons to show the “most recent” assessment level, instead of the default of “highest recorded”. 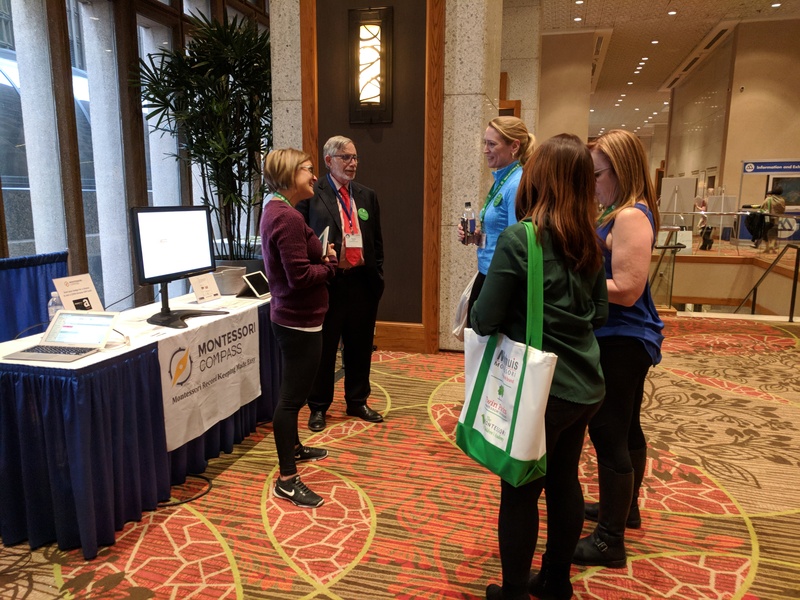 Montessori Compass is very excited to be exhibiting at the American Montessori Society 2019 Annual Conference in Washington, DC from March 21-24! It is always a pleasure to meet face-to-face with enthusiastic Montessorians from all over the world! If you plan to attend this event, please be sure to take a few moments to stop by booth #L123 to say hello. See you in Washington! We are very excited to introduce the new & improved Montessori Compass calendar. 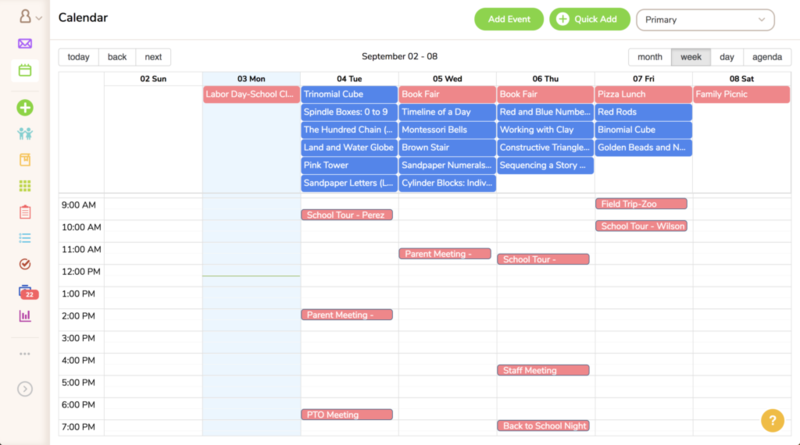 This refreshed calendar provides a flexible & easy-to-use interface with convenient month, week, day, and agenda views. Events are displayed in red while planned lessons are clearly distinguished in blue. All day (or unscheduled) events will be grouped at the top of each date while events scheduled for a specific time are displayed accordingly. In addition to the fresh new look & feel, the MC calendar comes fully-equipped with powerful record keeping tools – all designed to save you time and streamline your work flow. Simply click on a lesson name that is displayed on the calendar to open the record keeping side panel. You will see the list of students assigned for the selected lesson. Their current highest assessment levels will be outlined in gray while active selections are displayed in yellow. Simply click the appropriate triangle icon to record the lesson and add an optional lesson note. Should you wish to add additional (unplanned) students to this lesson, you may do so at any time. 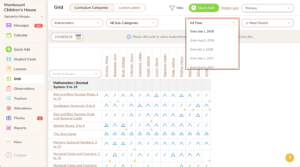 To make the lesson planning process even easier, you may now plan lessons via the amazing “Quick Add” feature! 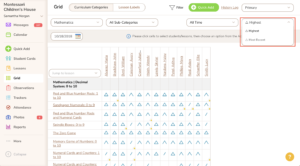 Click the Quick Add link and then select the desired students and lesson name. 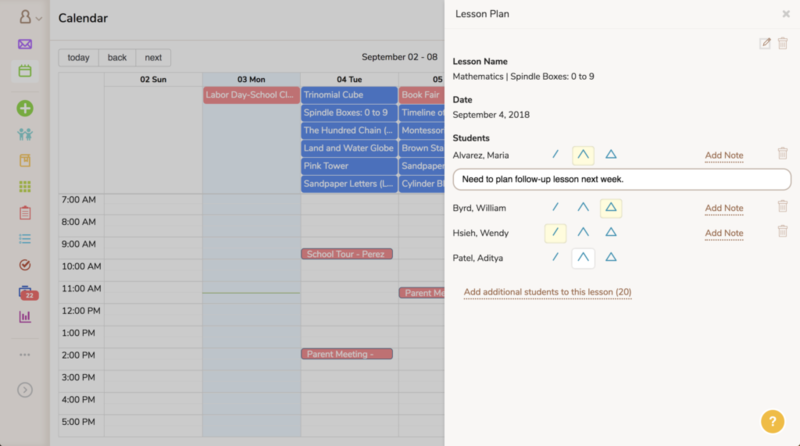 You may then choose one of the following options: planned lesson (calendar icon), lesson idea (light bulb icon), or record keeping (triangle icon). Remember, planned lessons have a specific date, while lesson ideas do not have a specific date (i.e. “wish list” of lessons). You can always change the date of a planned lesson via the calendar. Busy teachers rejoice! We are thrilled to introduce you to the newest addition to Montessori Compass – the “Quick Add” feature! Teachers that need to document classroom activity in a hurry should look for the new icon (it may be small, but it sure is mighty!) This handy new tool puts some of MC’s most widely-used features into one convenient location. 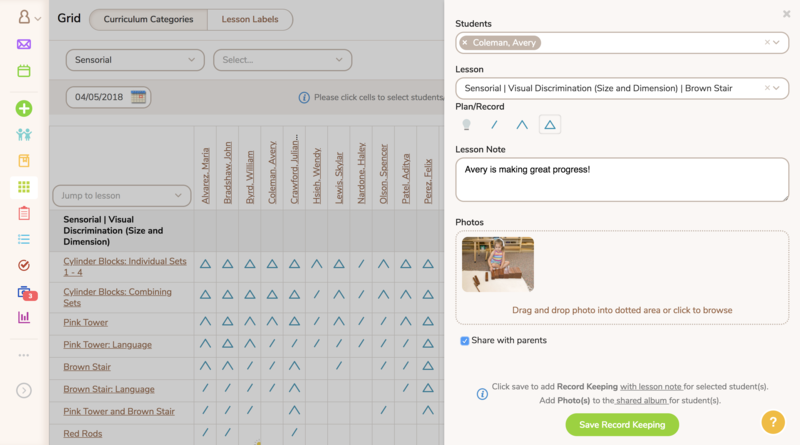 Teachers can now record lessons, observations, and upload multiple photos from the same place. You can also opt to share the activity with parents. The Quick Add can be experienced in two (soon to be three) user-friendly ways. First, you will now find the icon on the side navigation bar, which will direct you to a full-page “Quick-Add” experience. For those of you who want to enjoy the full-featured power of the Record Keeping Grid AND the convenience of the “Quick-Add” in the same workflow, you are in luck! The icon can also be found in the upper right corner of the grid for a beautiful overlay, 2-in-1 experience. And, drumroll please. . . you will soon find the icon in one more location – the MC mobile app for iOS and Android! Stay tuned for an announcement on mobile very soon. Montessori Record Keeping has never been easier! What a wonderful experience last weekend at the 2018 AMS Annual Conference in Denver! 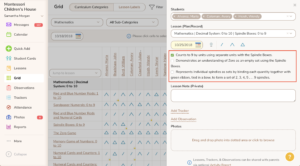 We were thrilled to provide an early preview of the upcoming new “Quick Add” feature, which makes it easier than ever to document classroom activity via iOS and Android mobile devices. It was a pleasure to speak with passionate educators from across the Montessori community and we always enjoy making new friends along the way. Thank you all for stopping by to check out what’s coming next for Montessori Compass and be sure to stay tuned for the upcoming “Quick Add” launch date (early April). See you next year in Washington DC! 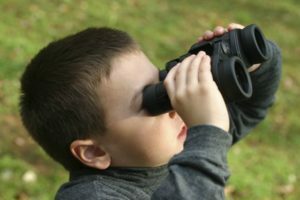 At Montessori Compass, we are committed to furthering the scientific study of Montessori education. We have been asked to forward this invitation to you at the request of Angela K. Murray, PhD who is an assistant research professor at the University of Kansas and the founding editor of the Journal of Montessori Research. Dr. Murray would like to invite you to participate in a university-based research study on Montessori Teacher Practices. You can be assured that none of your contact or individual school information has been or will be provided to the research team and you can remain completely anonymous if you participate. We hope you will seriously consider the invitation below because your involvement can be a powerful contribution to this work! This project is designed to understand the diversity of Montessori teacher classroom practices at the Early Childhood and Elementary levels through a brief online survey. The questionnaire simply asks you to tell us about what actually happens in your classroom and should only take 10- 15 minutes to complete. Results will be shared in future Montessori conferences, scholarly journals and/or the Journal of Montessori Research. Your responses are completely confidential and your responses will not be associated with any of your personal information. This project is made possible by the generous support of Montessori educators like yourself who have volunteered to participate. You are making a valuable contribution to research efforts that are critical to the future of Montessori education. If you have any questions about your participation in this study, please contact Angela Murray at angela@akmresearch.com. It is always a pleasure to meet face-to-face with enthusiastic Montessorians from all over the world! If you plan to attend this event, please be sure to take a few moments to stop by booth #S205/S206 to say hello. See you in Denver! Montessori Compass will be exhibiting at the 21st Annual International Montessori Conference, hosted by the Montessori Foundation in Sarasota, FL from November 2-5. We are very excited to meet face-to-face with passionate Montessorians from around the world. Planning to be at this event? Please be sure to stop by our booth to say hello and check out some of our latest updates! For more information on this event, please click here. See you in Sarasota! Activity Reports have landed on the MC Mobile App! This is a great way for parents to stay engaged with your school. Be sure to download the latest update for your iOS or Android device. 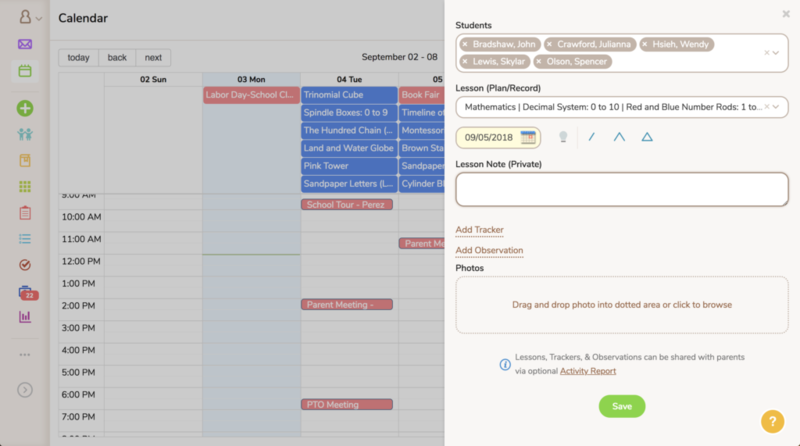 Zoom in and take a closer look with the new “Filters” feature on our Record Keeping Grid! Whether you want the macro view of the entire classroom or the micro view of just a handful of students, we’ve got you covered. Create your own custom student groups or use our handy cycle year shortcuts to narrow things down, so you can focus on exactly what you need to see. Have a filter in mind? More filters are in the works, so please let us know what would be useful to you! Thank You Montessori Congress Attendees! Being a part of the 28th International Montessori Congress held in Prague this past weekend was such a rewarding experience! We enjoyed talking with so many dedicated Montessorians from around the world. We had some great conversations and hope to build long-term relationships with you in the years to come. Wishing everyone safe travels back to their homes after a uniting and uplifting event.